Henry John (Harry) Oldham, was born in Long Lawford and his birth was registered in Rugby in late 1893. He was the son of Stephen, b.c.1868, and Anne Maria, b.c.1858 née Marshall, Oldham. Stephen was a ‘stationary engine driver at the cement works’ – presumably the nearby Rugby Portland Cement Company. Harry was baptised at Newbold on Avon on 31 December 1893 and in 1901 the family was living in Main Street, Long Lawford. There were then six children: Charles Victor Oldham, 13; Walter Fretter Oldham, 11; Stephen James Oldham, 8; Henry John Oldham, 7; William Edger Oldham, 4; and Arthur Lake Oldham, 4 months. In 1911 Frank was 17 and single and still living with his family at 110 Main Street, Long Lawford, Rugby. He was working as an Iron Moulder. His home address would later be noted as 33 Stephen Street, Rugby. He enlisted in Rugby as a Private No.42268, in the 2nd/7th Battalion of the Royal Warwickshire Regiment. The 2nd/7th Battalion of the RWR was formed in Coventry in October 1914 as a second line battalion, and together with the Birmingham recruited 2/6 Bn. became part of 2nd Warwickshire Brigade, 2nd South Midland Division in the Northampton area. They moved to Chelmsford area in March 1915. In August 1915 they were redesignated as the 182nd Brigade, 61st (2nd South Midland) Division, and went to train on Salisbury Plain in March 1916. They landed in France on 21 May 1916. Harry’s Medal Card has no date when he went to France, suggesting that it was after 1915 as there was no necessity to prove the need to award a 1915 Star. His army number suggests that he may have enlisted in about early to mid 1916. Harry would probably have been involved in a number of actions in 1916 to 1918, and details of the 61st Division’s war can be found in the War Diaries and on the web. That said, from 1916 the 2/7th RWR were active in many campaigns and further details can be found on the interactive maps on the Web. In October 1918 as part of the final advance in Picardy and the Battle of the Selle (24 October 1918) when a night attack by Third and First Armies took high ground to the east of the River Selle and having allowed time for the supporting heavy artillery to catch up, all three British Armies were able to continue their advance, taking nearly 20,000 prisoners in one week. 61st (2nd South Midland) Division transferred to XVII Corps, Third Army in mid-October, and during the night of 23/24 October, the Division relieved 19th Division east of Haussy to continue the advance across the River Écaillon (L’Écaillon) the following day. The 2/7th Warwicks had just come from a few days in billets at Rieux (south of Cambrai) and moved towards the village of Sommaing with the objective to take the village. October 24th 1918 – Assembly reported complete at 0315. At 0400 Battalion advanced towards village of SOMMAING – Left Battalion boundary P18 a67 – Q7 a65 – Q2688; Right Battalion boundary Q13 c96 – Q13 b92; Inter Company boundary Q8 d32 – Q8 b72 – Q 9 a19 – Q4 a21. 10th Brigade (4th Div) on our left, 2/6 R WAR R on our right. Attack was preceded by artillery barrage. Z Coy on left got across river ECALLION quite well but met with MG fire and also a good deal of wire defences but pushed forward and reached a further defence system in Q7b which was very strong with front and support trenches and communication trenches. X Coy in support came up against much greater resistance; river being heavily wired on both banks. On the enemy side were a considerable number of MG posts. They managed to cross river to the strength of a platoon but came under counter attack and withdrew to a line on Q13b on the rear slope of ridge with two forward posts at Q13 b92. W Coy advanced in support of Z Coy on left and established three posts in front of village but owing to misunderstanding, Z Coy had withdrawn across river and of village. Information of these three posts did not come through in time to be of any use. Y Coy had advanced in support of X Coy but without any success. 1000 hours – Z, W and Y now reorganised and pushed forward from P18 b94 towards the village. Position remained like this till 1645. 1645 hours – At this time, the 2/8 WORCESTERS passed through us and reached MUR COPSE Q7a which had been cleared earlier by the 4th Division. From line they advanced from NW to SE direction. The 184 Brigade at the same time pushing up from SE of VENDEGIES. All Coys now pushed forward in support of WORCESTERS. October 25th 1918 – SOMMAING now clear of enemy and Brigade objective reached on a line running from NE corner of MUR COPSE to Q8 a92. TRENCH STATE: 22 officer, 503 other ranks. CASUALTIES – 2/LT R W LEEDAM (killed), LT E H HUMBY, 2/LT H S THOMAS, 2/LT W E SILVESTER all wounded; 2/LT F CASSELL gassed. Other ranks 198. Harry would have been one of the 198 casualties on 24 October 1918. He was Killed in Action, but his body was recovered and buried in Plot A. 3. at the Canonne Farm British Cemetery, Sommaing. Sommaing is a village a little north of the Chaussee Brune-haut road which runs from Cambrai to Villers Pol. The graves in Canonne Farm British Cemetery all date from the period 22 October to 7 November 1918. The cemetery contains 65 First World War burials, one of which is unidentified. 27 members of the R.W.R are buried in the cemetery, and as no other R.W.R. deaths are recorded on that date, it seems that the remainder of the 198 casualties from the attack on Sammaing were either wounded or missing, presumed killed. Harry’s Executor was his eldest brother, Walter Fretter Oldham, who received payments as ‘Brother and sole executor, Walter,’ of £4-2-3d on 24 April 1919 and later a gratuity of £3-0-0d on 12 December 1919. Probate was also granted to ‘Walter Fretter Oldham, Coremaker’ at Birmingham on 19 February 1919 for £164-17-6d. Harry was awarded the Victory and British medals. He is remembered on the Rugby Memorial Gate. This article on Harry Oldham was researched and written for a Rugby Family History Group [RFHG] project, by John P H Frearson and is © John P H Frearson and the Rugby Family History Group, January and November 2017. 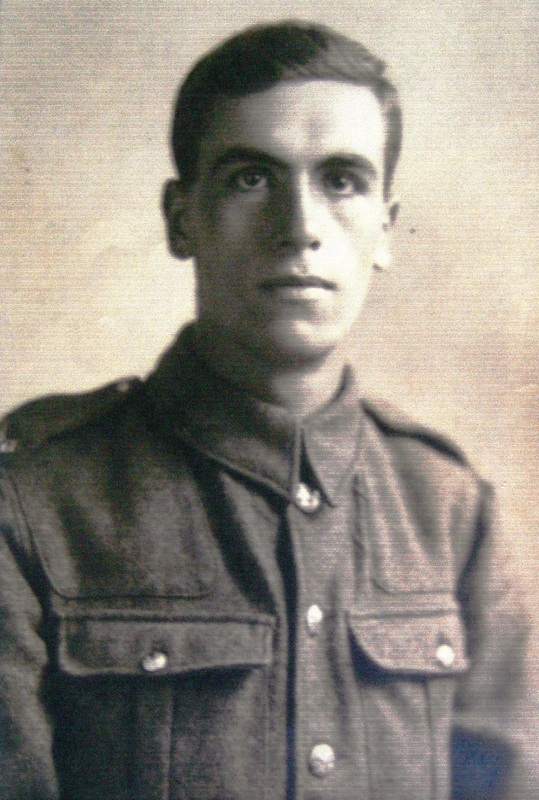 This entry was posted in Biography and tagged 1918, Long Lawford, Oldham, Royal Warwickshire Regiment by Christine. Bookmark the permalink.